St. Paul KAASO (Kabira Adult Attention & School for Orphans) is a unique community project in Uganda that provides education and mentorship to orphans and disadvantaged children in one of the areas hardest-hit by the HIV/AIDS crisis. KAASO is first and foremost a primary school, but relies on an interconnected network of community initiatives to keep the school running and the level of education high. The school’s motto – “Invest in Education” – not only applies to the children, but also the adults of the community. KAASO’s ultimate goal is to empower people, both young and old, to enable them to follow their dreams and realise their full potential. KAASO was founded in 1999 by two Ugandan teachers, Dominic and Rose Mukwaya, who set out to help orphaned children in their district receive a first-class education. KAASO’s success over the years has been thanks to community involvement and a series of initiatives that work together to make education at KAASO sustainable. By bringing together parents, guardians, volunteers and community members, KAASO has created a centre for innovation, entrepreneurship and out-of-the-box thinking. KAASO is not your average volunteer experience. Volunteering at KAASO means joining a family, becoming part of a community, and having experiences that will change the way you see the world. The Kiwi Sponsorships programme at KAASO is direct and personal, providing financial aid, mentorship, guidance and support throughout the student’s education. The Kiwi Sponsorships create lifelong relationships with individual students, upon whose life sponsors have a profound and meaningful impact. Bruno - studying at Ggaba Primary Teachers' College. 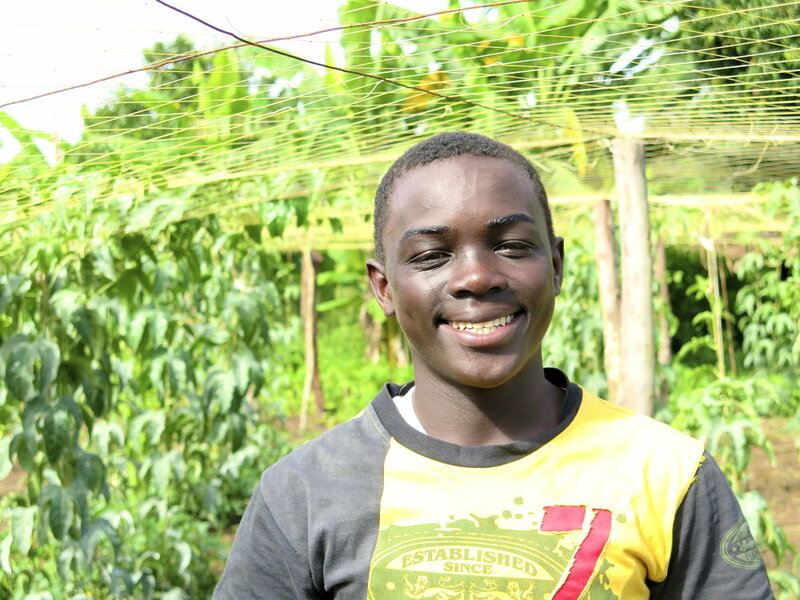 He hopes to become a primary school teacher and to work at KAASO. Stellah - studying Medical Laboratory Techniques at St Francis Hospital Nsambya Training School. She hopes to become a lab technician. Marvin - in Senior Four at Zaake Secondary School. He loves computers and hopes to become an administrator. Winnie & Juliet - studying at Villa Maria Nursing School. Winnie hopes to become a nurse and Juliet's dream is to become a midwife. Emma - in Senior One at Zaake Secondary School. He loves social studies and hopes to become a lawyer. We welcome donations from around the world to support our ongoing efforts to keep developing the school and providing the highest level of education to those children who need it most.